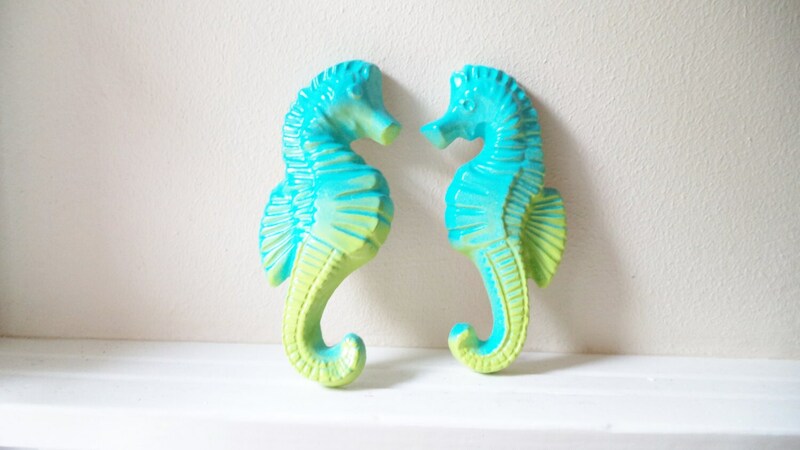 These seahorse sculptures measure 7" tall and 3.5" wide. 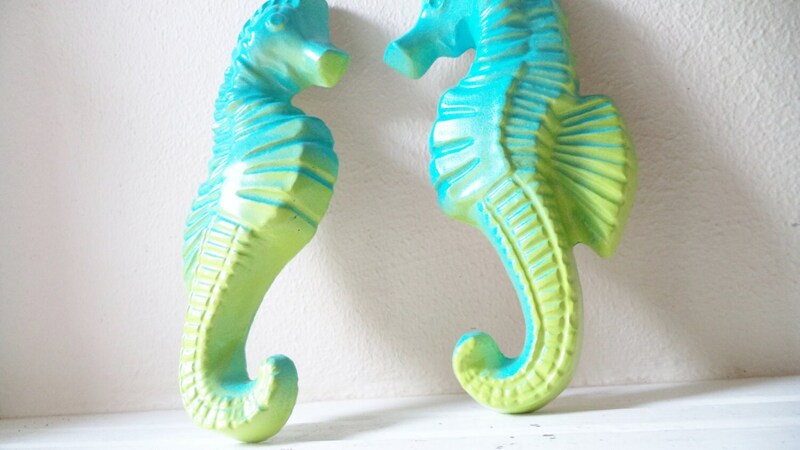 Beautifully detailed, lovely for any space you want a little pop of tropical flair! 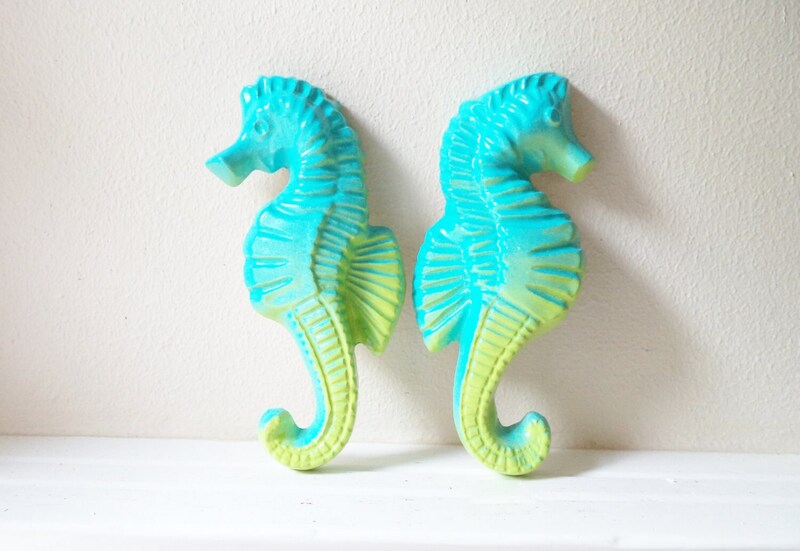 I make mermaids in the same finish... see my nautical decor section! I make these from scratch and am happy to make them in any color you like. 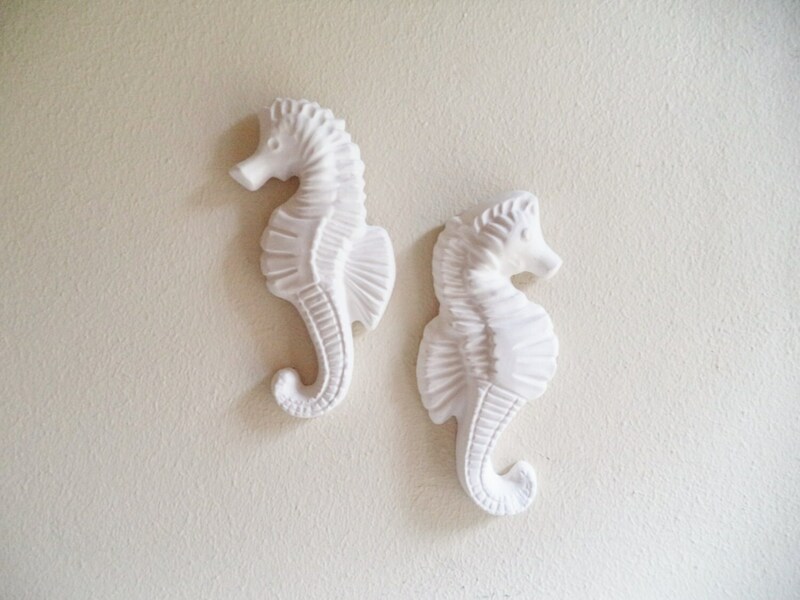 They will come outfitted with wall hooks for no fuss hanging. Please see the color options and feel free to send me any questions or special requests! 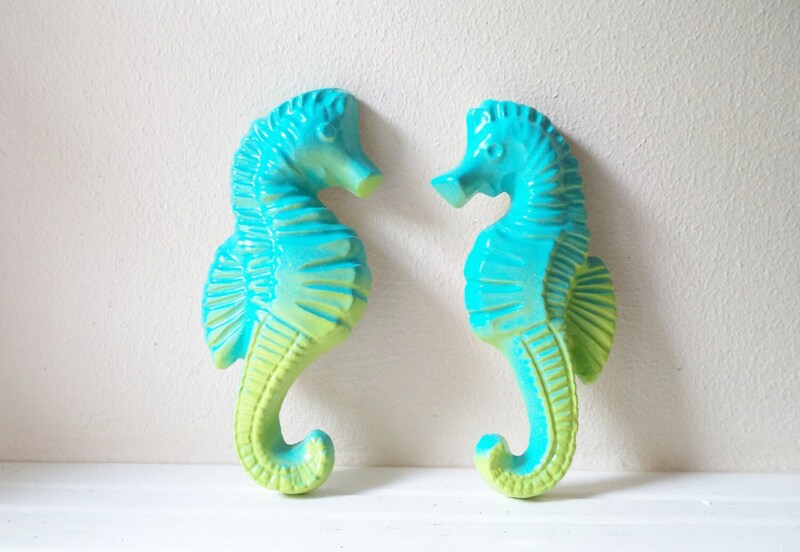 See my GIANT seahorse wall sculptures too!